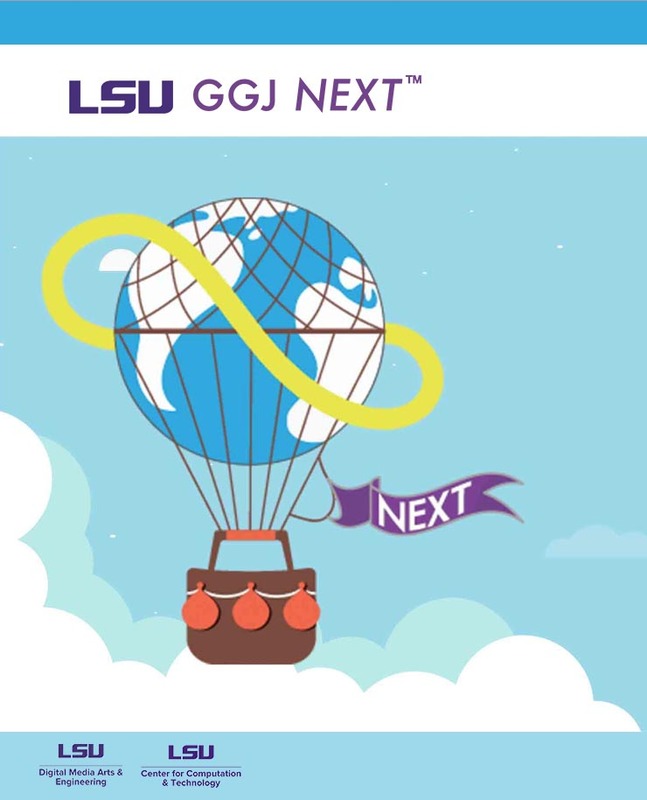 LSU's Digital Media Arts & Engineering program has been hosting the Global Game Jam every January since 2015. This year we are holding our very first Global Game Jam Next, which allows an opportunity for students from ages 12 - 17 to take part in a global event. In this brief time span, creative thinking will be encouraged along with the creation of innovative and experimental games. • Learn the tricks and techniques used to make modern video games from scratch. • Use professional tools to produce quick and easy gameplay prototypes. • Practice scripting, animation, digital art, audio design, level design and game design. • Help unleash your creative potential to get ideas from your head onto the screen. Students will be using GML (Game Maker Language) a C like high level scripting language to create interactive prototypes. The language is simple enough for a child to learn and students are expected to be able to express themselves through scripting and art by the end of the class. The course culminates in a show for friends and family that demonstrates what they have been able to accomplish in a short period of time. INSTRUCTOR: Marc Aubanel, director of the Digital Media Arts & Engineering program at LSU. Marc brings with him 20 years of experience running large global brands and franchises which include FIFA Soccer, NHL Hockey, Need for Speed Underground and Def Jam Vendetta for Electronic Arts. He also co-founded Stage 3 Media in response to an emerging online video marketplace. SCHEDULE: 9:00 AM - 5:00 PM; two snacks and a lunch will be provided each day. **Friday afternoon showcase begins at 3:00 PM--parents/family members are invited. LOCATION: Room #1034, LSU Digital Media Center. Map it! For questions or special needs, contact Karen Jones at kjones@lsu.edu. The Digital Media Arts & Engineering Program at LSU is dedicated to producing tomorrow's leaders in the digital media arts field. Located in a new state of the art $29.3 million facility that is shared with Electronic Arts North American Test Center, you can work with a diverse group of digital artists, technicians and researchers who are here to help you develop your ideas into the future of media.